*Other Mission Pages: Peru LDS Missions. It was home to the prehistoric Moche, Chimu and Inca people. It’s by the Moche River near where it empties into the Pacific Ocean. It has the temples of the Sun and Moon, which is the largest adobe pyramid in Peru. The Mochica Civilization flourished from about 100-800AD. The city declared its independence from Spain on December 29, 1820. It is considered the first independent city of Peru. Here’s a recent address for the Peru Trujillo North Mission. We try our best to keep this information up to date, but it’s a good idea to double check the mission address with several sources, including your mission packet or the mission office. Log into your LDS account here. Here are in-depth YouTube video interviews with returned missionaries from the Peru Trujillo North Mission. We interview hundreds of returned missionaries each year, so check back regularly to see new RM interviews. Coming soon..
Here’s a list of LDS missionary blogs for the Peru Trujillo North Mission. This blog list includes the missionary’s name, blog URL and when their mission blog was last updated. 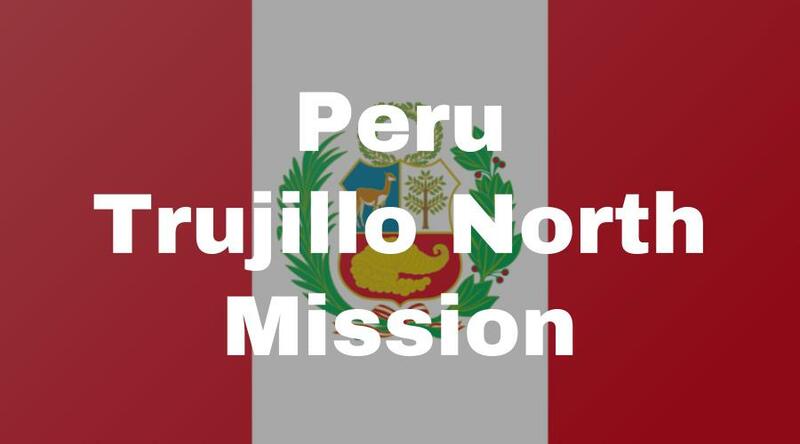 Here are Peru Trujillo North Mission Groups- for LDS missionary moms, returned missionaries, mission presidents and other alumni who served in the Peru Trujillo North Mission. Coming soon.. Here are T-shirts for the Peru Trujillo North Mission! Shirt designs include Peru Trujillo North Mission logo/emblem shirts and Called to Serve shirts. The shirts make great gifts for pre-missionaries, returned missionaries and missionaries currently serving. LDS Mission shirts come in all sizes: Small, Medium, Large, Extra Large, up to 4XL. 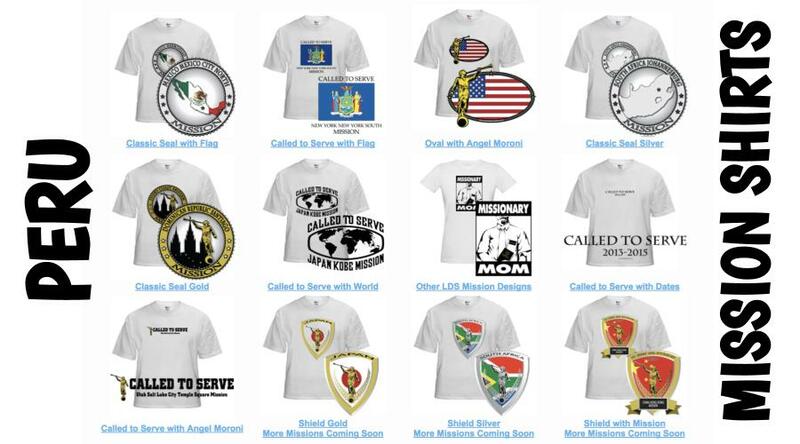 The mission designs are printed on white shirts and are shipped to you. *Simply click on a shirt design to view the details and submit an order. The designs on mission t-shirts may also be printed on other LDS mission gifts, including: Peru Trujillo North missionary aprons, Christmas stockings, ties, pillow cases, teddy bears and Christmas ornaments. Here’s a list of current and past Mission Presidents of the Peru Trujillo North LDS Mission. Here are survey responses from Peru Trujillo North RMs, to give you a snapshot into what it’s like to live in the mission. *Click here to take a survey to help pre-missionaries going to your mission. What areas did you serve in? What were some favorite foods? What was a funny experience? What was a crazy experience? What was a spiritual experience? What are some interesting facts about the Trujillo North Mission? What was the weather like? Any things you really like about the area/people? What blessings did you receive from serving a mission? What are some skills you gained? What do you wish you knew/did at the beginning of your mission? Any advice/testimony for pre-missionaries going to Trujillo North? What was a funny language mistake?